Did you know that Canada Pension Plan benefits can provide compensation to those who are disabled and unable to work on a regular basis? Are you suffering from a serious and debilitating illness, disability or injury that is preventing you from being able to work? Have you paid for Long Term Disability Insurance (LTD) but your insurance company has denied your request for a disability claim? Do you need assistance in filing your Canada Pension Plan claim but have been told by other lawyers that they will not assist you until your claim has been denied? Are you afraid you will be turned away because you do not have the money to pay lawyer's fees? 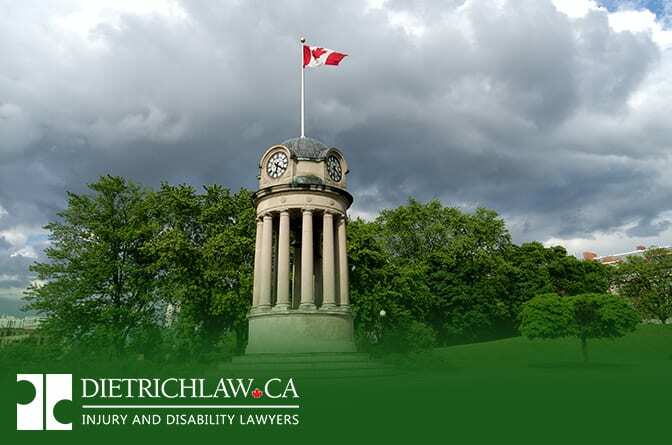 Our Kitchener Disability Lawyers understand the position you are in, the pain you are suffering, as well as your fear of the system. About one out of every three Canadians is disabled for at least 3 months before retirement, as a result of an injury or illness. When this occurs and if we have a disability plan, we rely on our disability coverage to provide income replacement so that we can continue to pay our mortgage or rent, day-to-day expenses and other essential expenditures. Many Canadians have access to long-term disability (LTD) benefits through an employee plan, while others, including self-employed persons, may have purchased coverage through an independent/personal insurance policy. Also, working Canadians who meet CPP eligibility criteria may qualify for disability benefits under the Canada Pension Plan (CPP). Yet, sometimes insurance companies deny owed disability benefits for persons who are genuinely disabled and unable to work. Although LTD insurance providers have an appeal process for resolving denied disability benefits, this process is stacked against the claimant because the insurer has typically already made up their mind about the alleged legitimacy of your claim once they’ve denied or terminated your benefits. 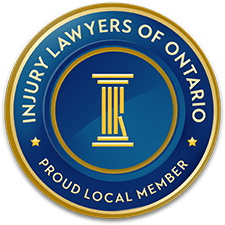 For this reason, a knowledgeable Kitchener disability claims lawyer offers the strongest prospect of obtaining owed benefits when your disability claim is denied. The following circumstances are the most common reasons why a long-term disability claim may be denied. Your application did not include sufficient and objective medical evidence, including details provided by your doctor to clearly describe how your symptoms prevent you from performing the essential tasks in your regular job. Or, after 2 years (or the period indicated in your LTD plan), your symptoms must prevent you from performing the required tasks of any occupation for which you are suited, by way of your experience, training or education. You failed to follow your doctor’s prescribed treatment advice. The insurer takes this as a sign that you did not attempt to alleviate your symptoms and further, your condition may not really prevent you from performing your job. You have not sought regular treatment from an appropriate medical professional. Many conditions require specialized care and treatment, such as a psychiatrist for someone suffering from depression, and in such cases, the LTD insurer is unlikely to depend on the opinion of a family doctor or another health care professional who lacks the credentials or experience to properly assess your condition and provide best treatment options. Answers or details were not fully provided on the application. You did not submit to a medical test or assessment requested by the insurance company. Your insurer believes your disability is excluded under the pre-existing condition clause of your policy. After 2 years, your long-term disability benefits may be terminated because the insurance company believes that, due to your past experience or skills, you are capable of performing another job or working at a reduced capacity. If your long-term disability claim was denied after your initial application because you or your doctor failed to include required information, you may be able to successfully appeal your claim by providing necessary medical evidence and/or other details. However, under most circumstances in which a claim was denied, you need an experienced disability lawyer to provide the necessary expertise in arguing on your behalf against your disability claims insurer. Keep in mind that insurance companies have a legal team highly experienced in blocking claims they have decided are illegitimate. Call Dietrich Law if your long-term disability benefits have been denied while you continue to be unable to work. Based on the legal terms of your LTD plan and the insurer’s stated reasons for your denied claim, the disability lawyers at Dietrich Law can assess your case and build a case for a successful appeal.